SUMBA project addresses various aspects of commuter transport, one of them being environmentally friendly transport systems in urban areas. The Riga city is one of the project partner cities and Riga is working on multimodal commuting solutions. 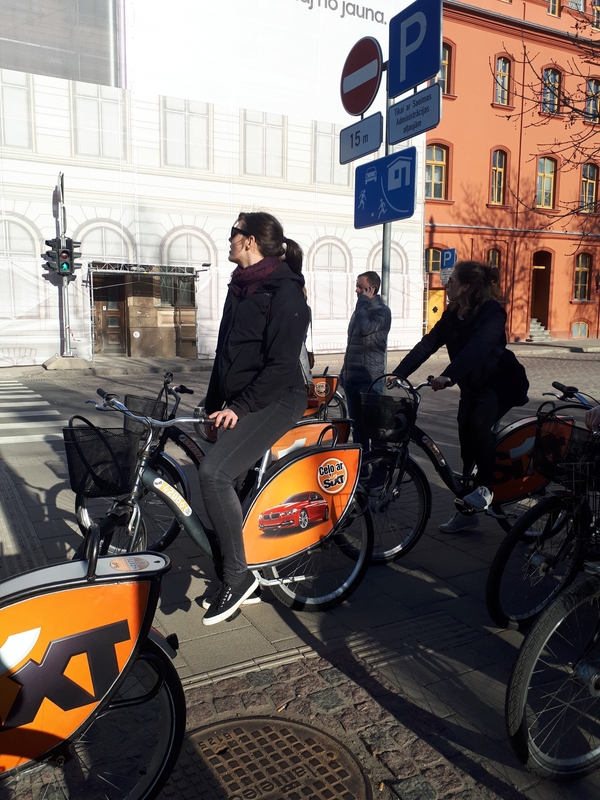 The Riga city Sustainable Development Strategy define mobility principles in the core of the city: pedestrians, cyclist, public transport, private transport and freight transport. Meanwhile Riga have plans to evolve bypass roads with park and ride system around the city core to organize transport flow of the cars. Also, there are planned three major multimodal hub locations, to accommodate city visitor and local commuter needs. Regarding the public transport accessibility, the new low-floor trams are included into transport system. In April 2018, the 2nd partners meeting was held in Riga. The associated partners, deputies, project partners and experts were familiarized in transport modelling and transport system analysis field, especially transport modelling, data collection and availability studies. 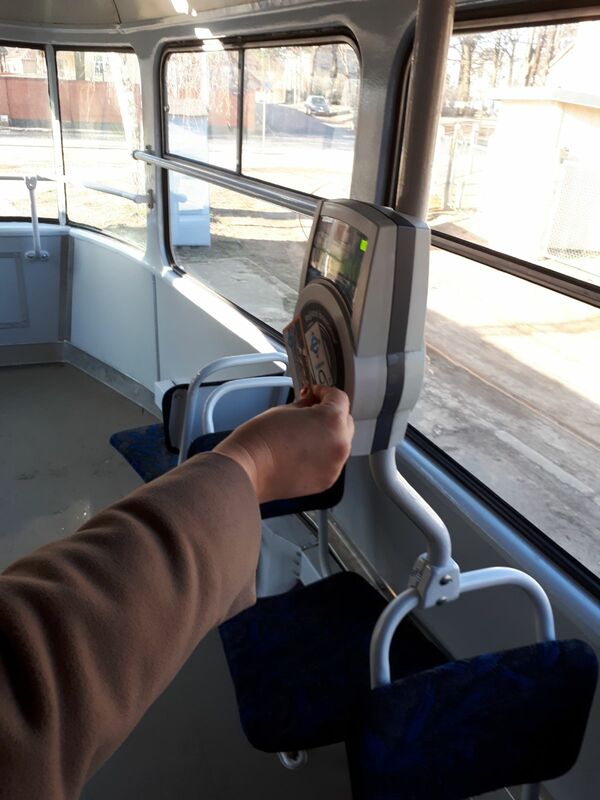 According to one of the project targets, the programme included also the practical part - combined use of public transport and bicycle or another transport mode. 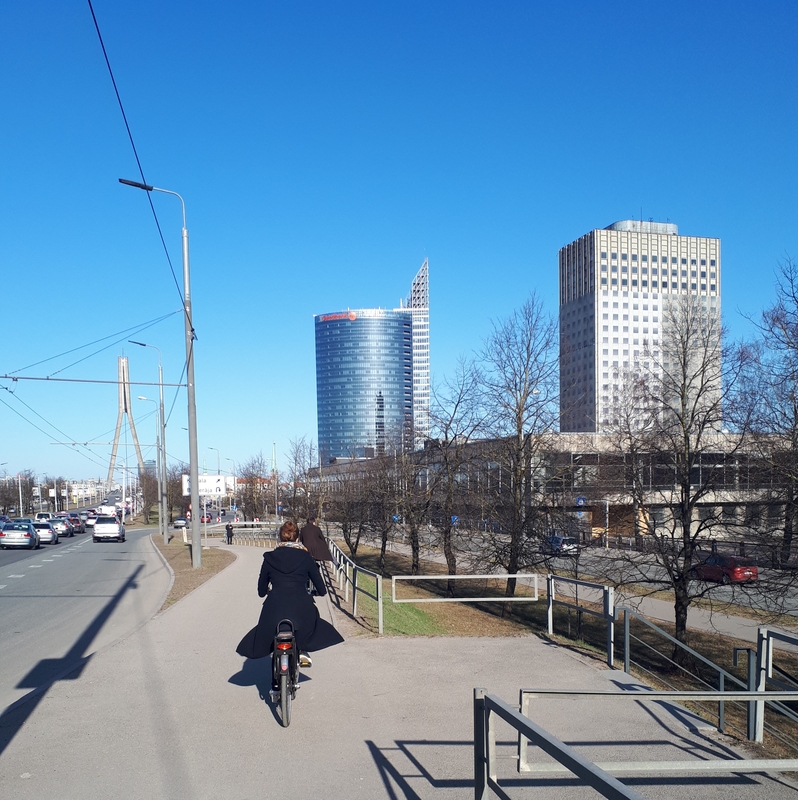 The trip included the getting from one of the city’s suburbs to the city center by crossing the river Daugava and using such commuting options as train+tram or train+bike. This particular route with given transportation options represented only a few from countless commuting variants. All participants were introduced with the main points of the national road traffic rules in order to ensure the trip’s safety and got information about public transports ticket system. Removal of a surplus sand material from the streets to improve traffic safety and air quality. For the city to become multimodally friendly, the following points should be taken into account for the future: improved platforms at train stations - should be higher so any passenger with a bicycle or in a wheelchair could easily get in the train, reduced car traffic in the city center and improved cycling infrastructure because current infrastructure is suitable for quite small number of cyclists.